Didn't think it was that expensive but I am used to paying London prices. 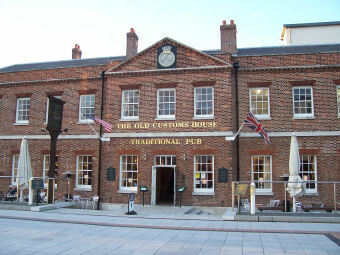 Went in here twice over the weekend and had Fools Gold, Seafarers, Brit Hop and HSB. Tried the food on both visits and was not disappointed. Service was OK and the staff were friendly . THE MOST EXPENSIVE PUB ANYWHERE - WHY? Reasonable pub. But the prices are far too high - �8+ for a large spirit (50ml in total) and a dash! I know no other pub, anywhere, charging these prices - and the food is very average - with students and agency staff serving.